LOS ANGELES, CA – May 3, 2016 – Accomplished and award-winning consumer marketer Sandy Barger has signed on to deliver C-level marketing leadership, on a fractional basis, as the newest member of the Chief Outsiders West Coast team. Chief Outsiders is a national consulting company specializing in business growth and marketing and has already served on the management team of over 300 growth and mid-sized companies. A former Walt Disney Company executive and Golden Bridge Silver Award winner as “Marketer of the Year” for creating new opportunities for brands to engage with consumers through digital media, Barger joins the Houston-based “Executive-as-a-Service” firm ready to contribute actionable insights immediately to the CEO and management team. Barger’s broad-based career as a marketing executive has included both startups and Fortune 100 organizations. Her successful track record of developing multi-billion dollar businesses and new growth initiatives spans across a variety of global organizations, including Entertainment, Consumer Products, Technology, Music, Fashion, Retail, Education and Digital Media. Barger spent 14 years of her career at the Walt Disney Company where she supported the company’s marketing initiatives in multiple roles, including Senior Vice President of Worldwide Marketing and Product Management, General Manager of Emerging Markets (China, India, Russia), and Senior Vice President Cross-Studio Strategy. Prior to her successful years at Disney, she worked in Marketing at Dole Packaged Foods and in the Executive Program of May Company Retail Stores. The Los Angeles-based Barger also is the founder of Connect Business Consulting, a management-consulting firm providing advisory and implementation services for companies of all sizes across multiple industries. By combining strategy, innovation, creativity, financial acumen, and tactical know how, Barger has been able to spearhead top-performing and award-winning consumer campaigns, to introduce new products and marketing programs, and to increase businesses growth. 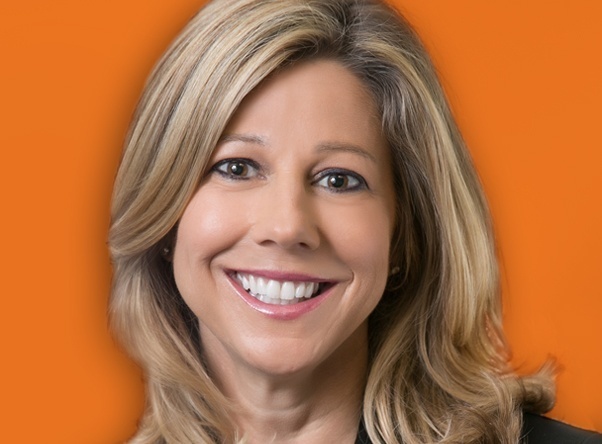 Sandy has a master's degree in marketing and finance from Northwestern University's Kellogg School of Management, and a bachelor’s degree from the University of California at Davis. She is involved with the non-profit International Medical Corps, mentors young professionals, and served on the board of The Wonder of Reading. Chief Outsiders, LLC, an "Executives-as-a-Service" firm, helps grow mid-sized companies from coast-to-coast with more than 40 part-time, or fractional, Chief Marketing Officers (CMOs) who have held positions of VP Marketing or higher at one or more operating companies. These individuals' breadth of experience makes it possible for Chief Outsiders to put the right skill set on a leadership team of any company for a fraction of the cost of a full time executive. Unlike other strategic marketing and management consulting firms, Chief Outsiders has been integrated into the leadership teams of over 300 mid-size companies as part of helping to drive growth strategy and execution plans. Chief Outsiders believes delivering a world-class marketing strategy on its own creates little value and that the real value is created by helping the organization implement the growth vision.